A tenacious advocate and litigator, Deborah Pollack-Milgate is known for her ability to act quickly to chart the optimal path for the clients she serves. Fearless and disciplined, Deborah delivers laser sharp focus that supports and protects each client’s unique business objectives. Deborah represents businesses of all sizes and individuals in patent, trade secret, trademark and complex commercial litigation, including antitrust and contract litigation. Deborah is adept at providing her diverse clientele with unique problem solving skills that do not rely on one formula for success, but rather pinpoint and prioritize her clientele’s needs and perspectives. This creativity and insight sets her apart. Deborah also brings her insight to bear in acting as outside IP counsel for both national and international clients, assisting with virtually all aspects of intellectual property portfolio management. She assists clients with putting systems in place, from the stage of invention to patent protection and enforcement, which will allow them to fully maximize the value of their intellectual property. 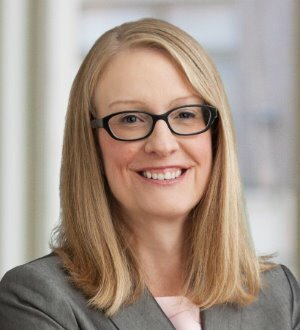 Since 2001, Deborah has assisted and advised clients in complex patent suits across virtually all technical areas, including chemistry, software, mechanical and biotech, ushering her clients through all stages of litigation, including trial. She has also represented a variety of clients in appellate matters in the Indiana appellate courts and in federal courts of appeal, including the U.S. Court of Appeals for the Federal Circuit. Over nearly two decades of practice, Deborah has identified the pivotal IP strategy to achieve favorable results for her clients, whether on attack or on defense. On the defense side, Deborah has often worked to reduce or eliminate her clients’ monetary exposure, including in one case by hundreds of millions of dollars. On attack, Deborah also regularly develops damages theories that are both well-grounded legally and aggressive. Innovative and always learning, Deborah is at her best when faced with the intellectual and people challenges of litigation, negotiation and the dispute resolution process. Deborah’s clients appreciate that they are in good hands under her leadership and that she doesn’t lose sight of their best interests. While at Barnes & Thornburg, Deborah spent an extended stay in Mannheim, Germany, where she worked for and advised an international client in U.S. litigation and patent matters. She routinely presents in the German language on patent matters, and is the author of BLIPs, the firm’s quarterly German-language IP newsletter. Over the years, Deborah has moderated panels for various organizations and has been a frequent moderator for the Indiana Health Industry Forum’s Life Sciences Luncheon series.